Located in Harbourside, The Woods Jupiter is a destination restaurant with a strong community tie, and ample appeal to attract people for a special outing. It features a sophisticated dining experience in a relaxed, comfortable environment. Guests can enjoy an outstanding meal while watching their favorite sporting events year-round. Local craft draft beers, an extensive wine list and cocktails are available. 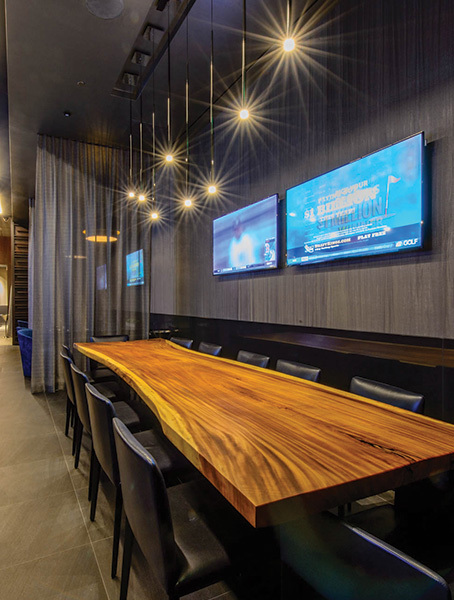 This family-friendly sports and dining club is tailored for the Jupiter neighborhood with booth and table seating, an indoor/outdoor lounge and private dining available. TWJ is confident guests of all ages will have a memorable experience at this one of a kind restaurant.